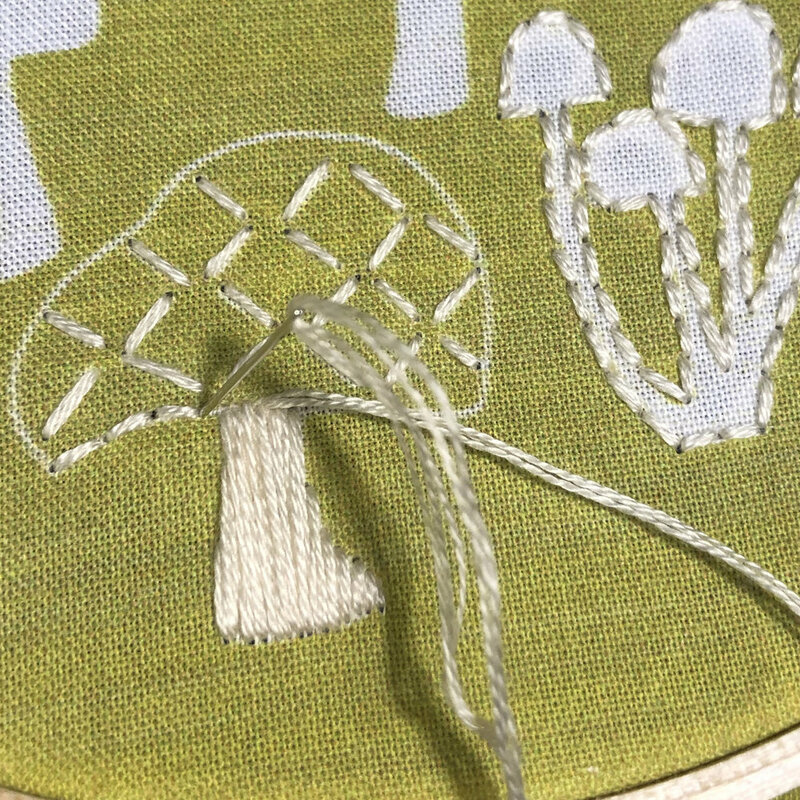 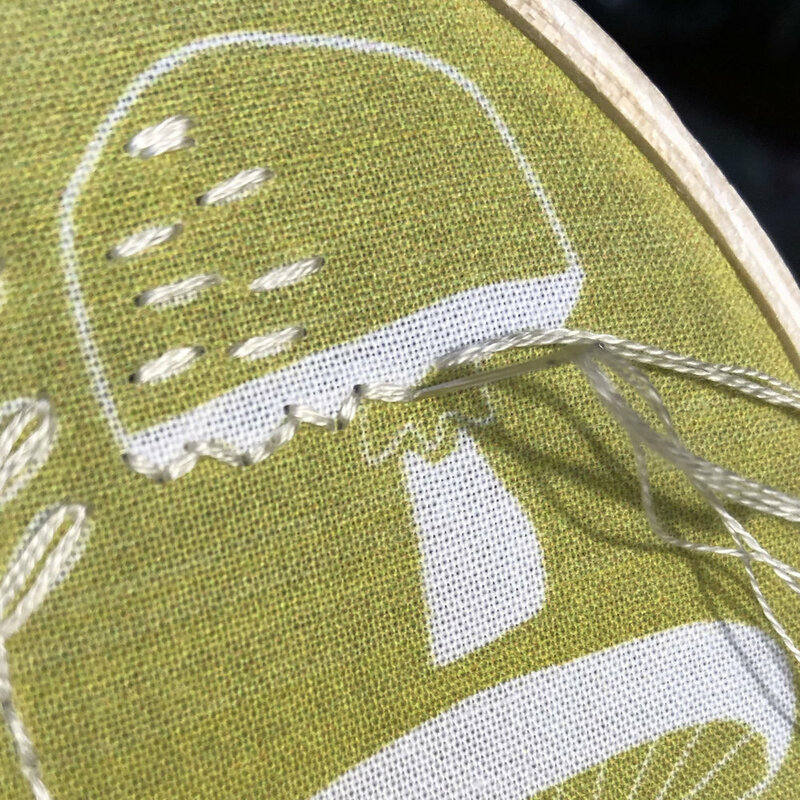 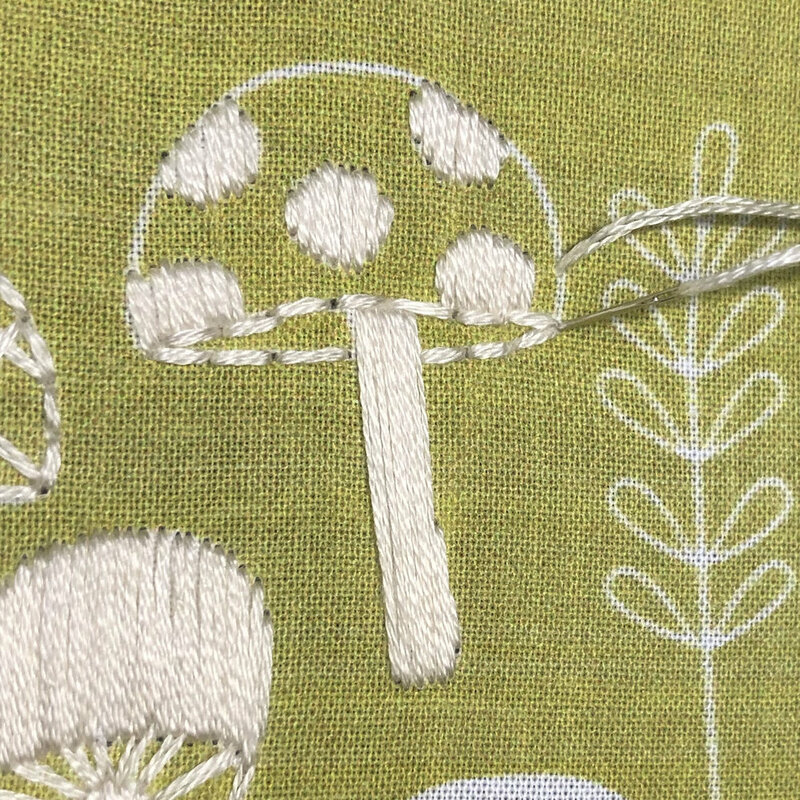 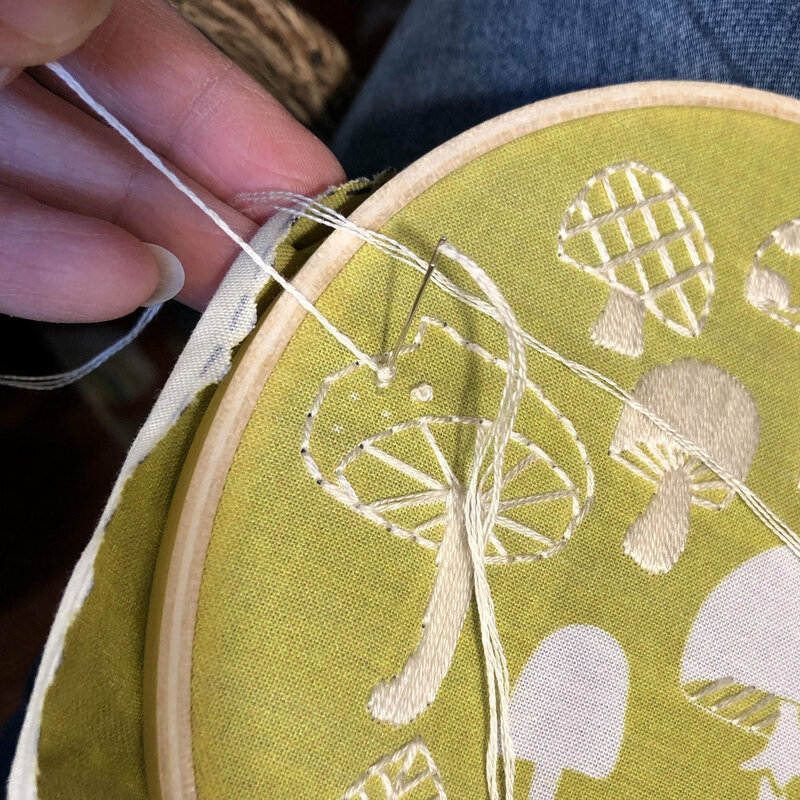 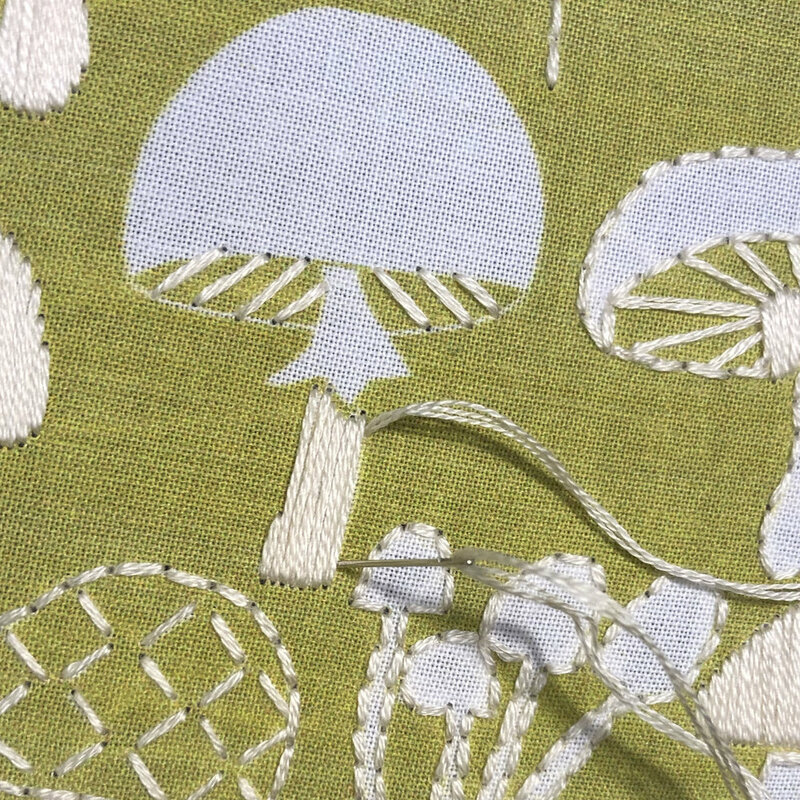 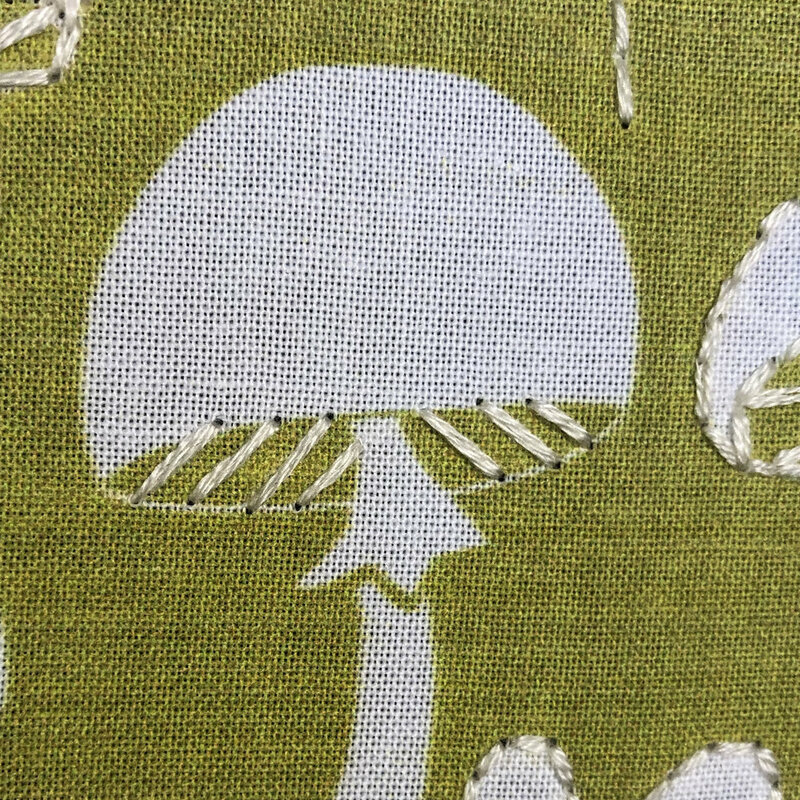 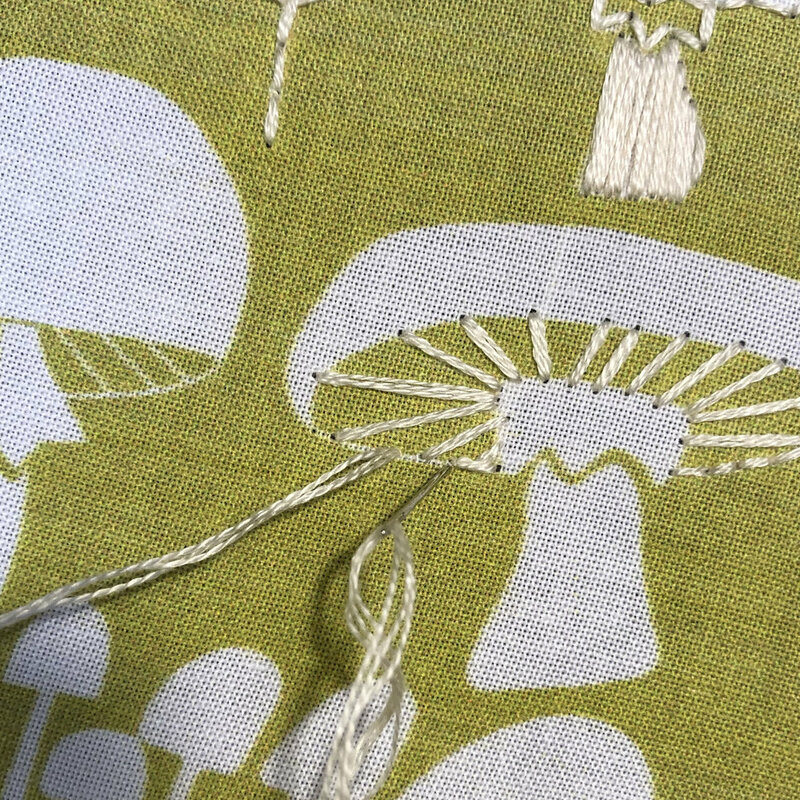 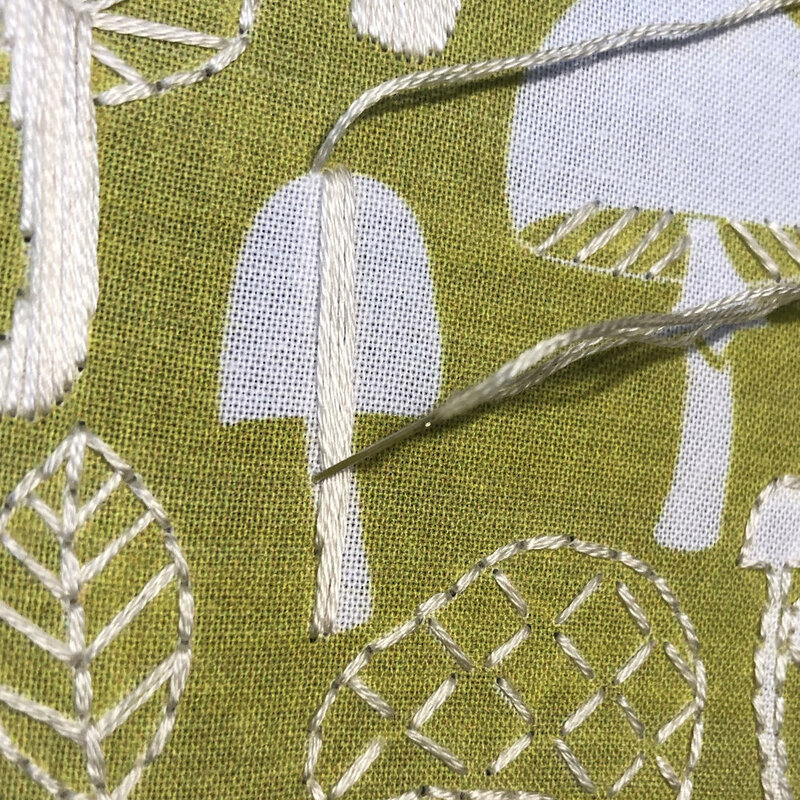 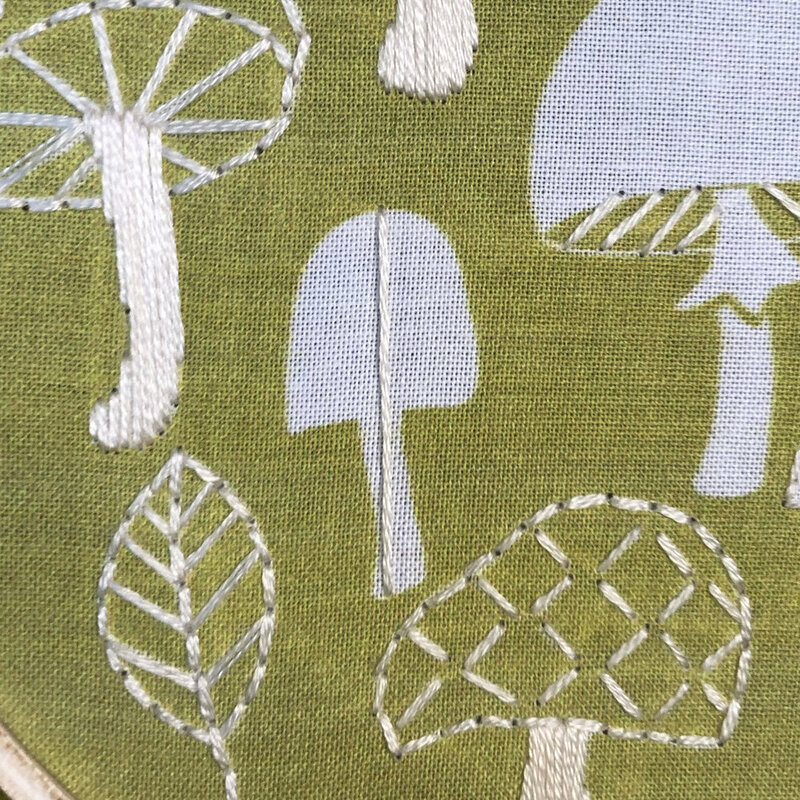 The Rikrack Mushroom Embroidery Kit is great for beginners. 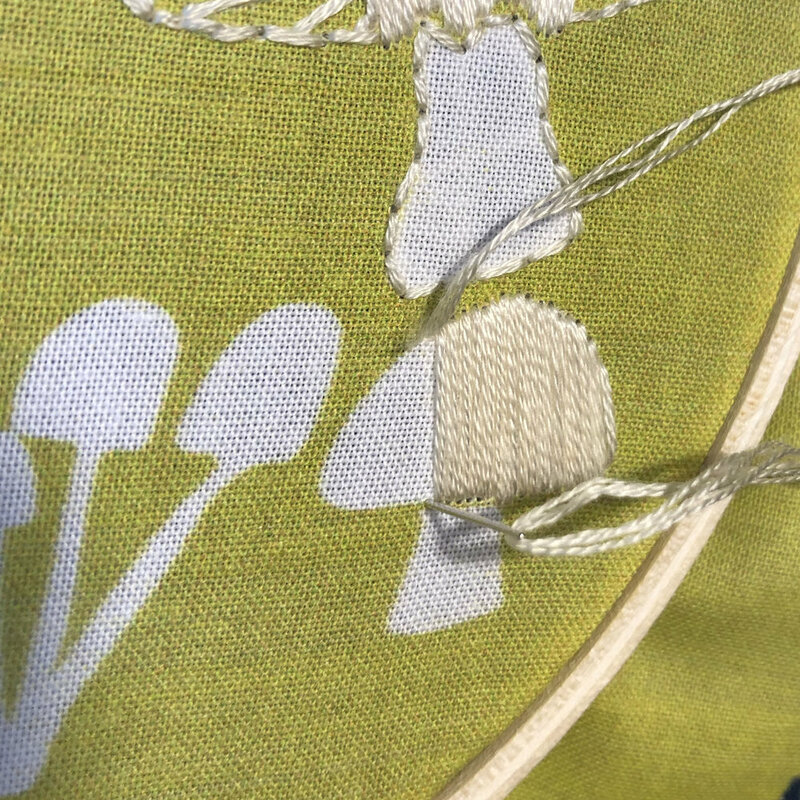 The background is a lovely bright spring green color. 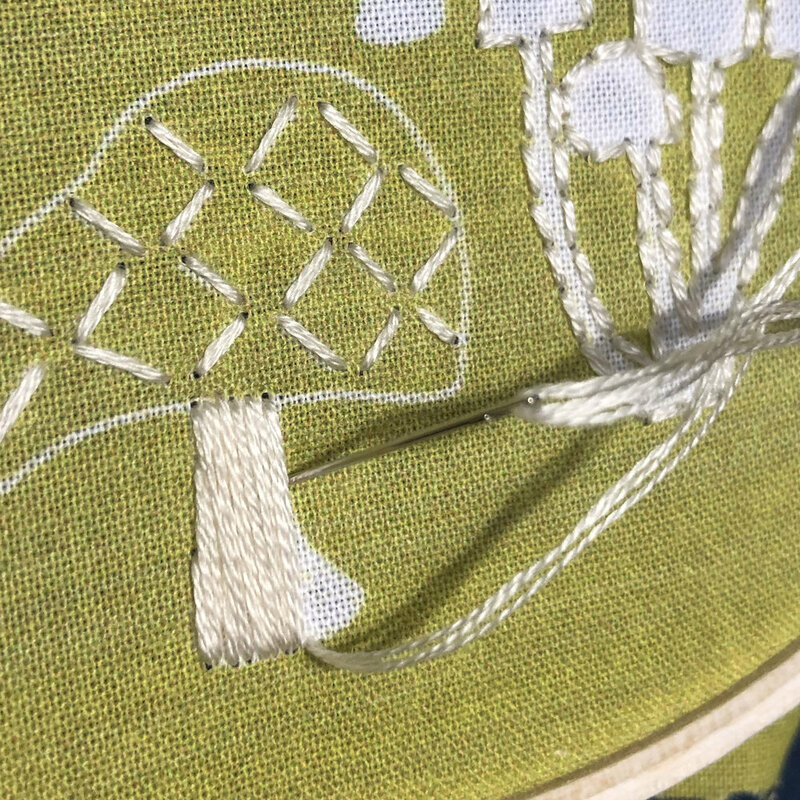 Some areas of white are left unstitched to create texture and contrast. 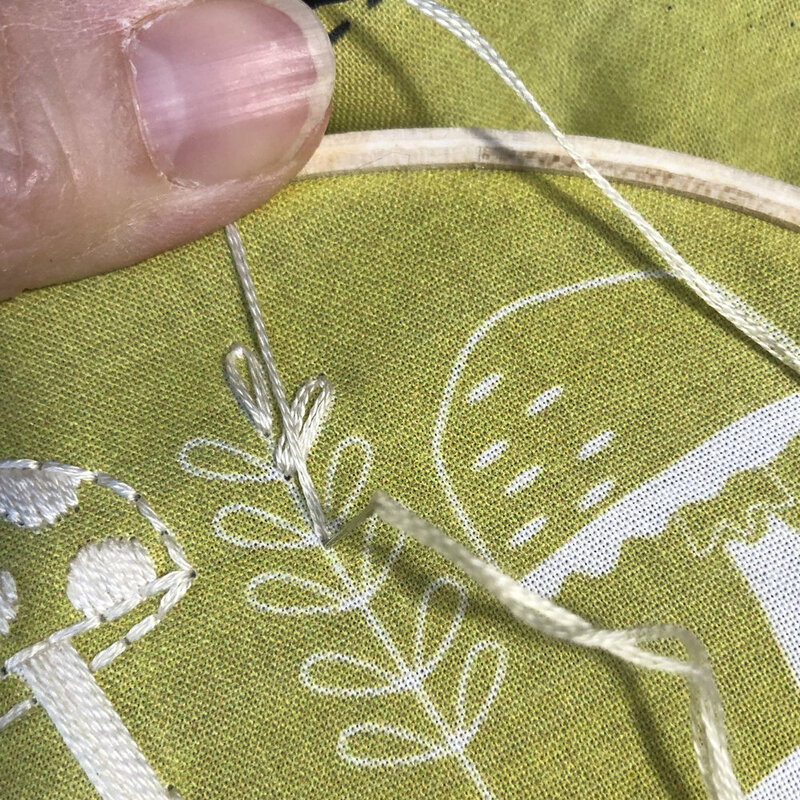 Solid areas are Satin Stitch. 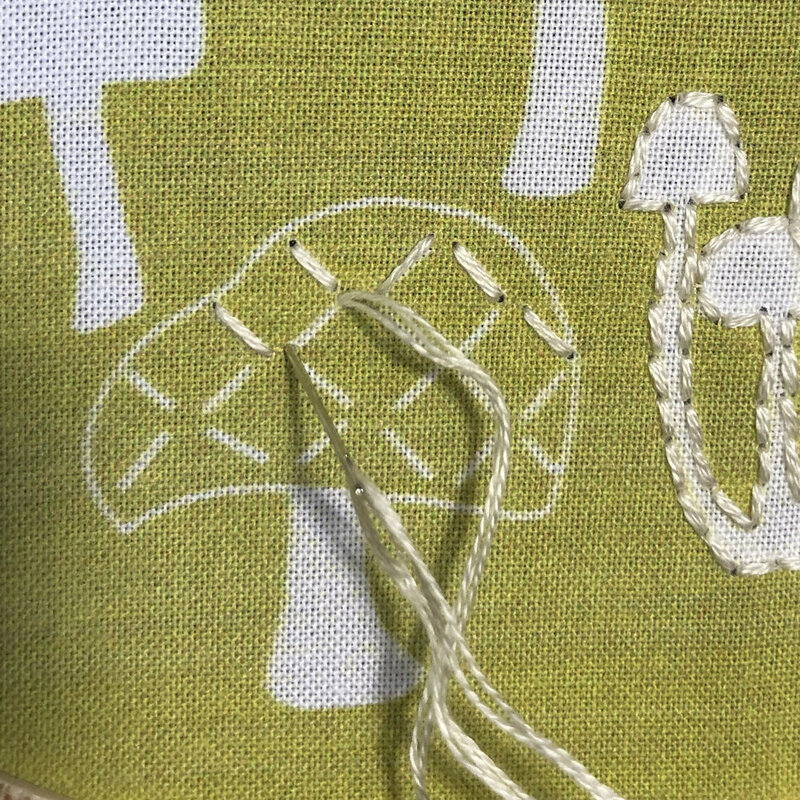 Start in the center of the shape and fill in one side then the other. 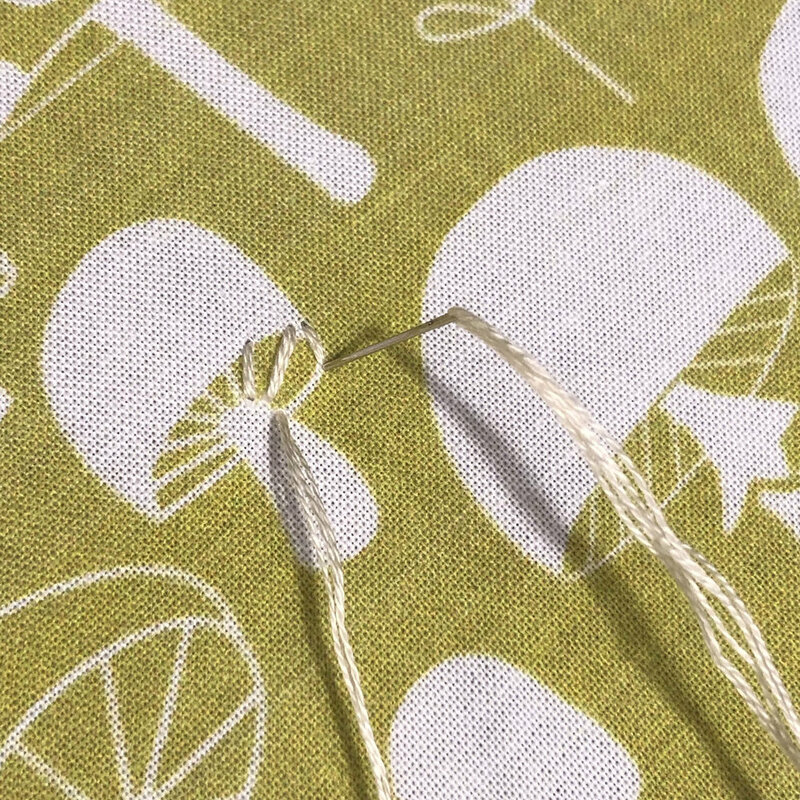 Use the weave of the fabric as a guide to keep stitches parallel. 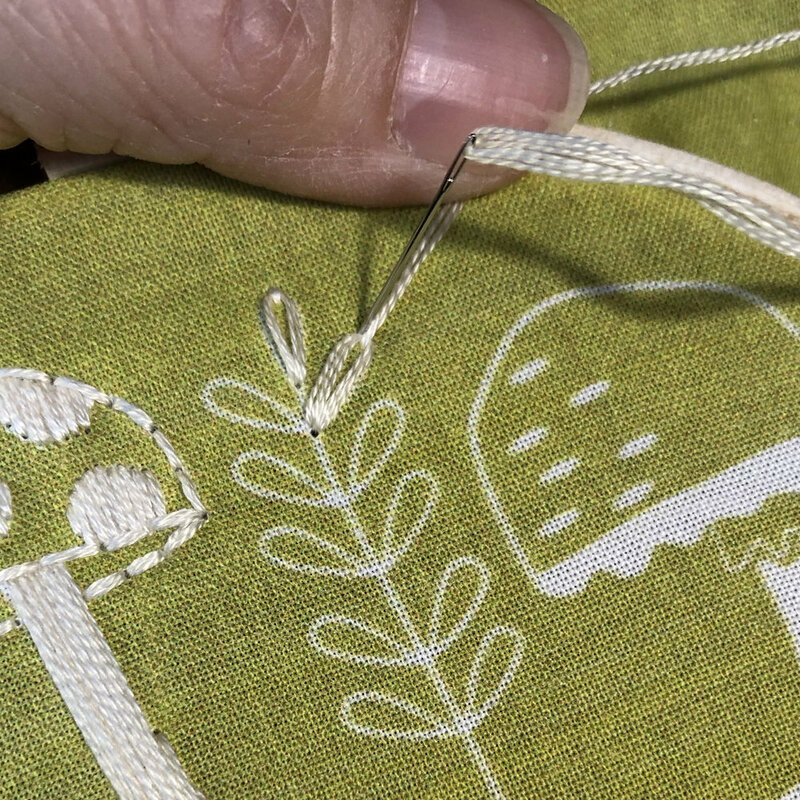 Make the stitches slightly bigger than the printed area so that the printing does not show. 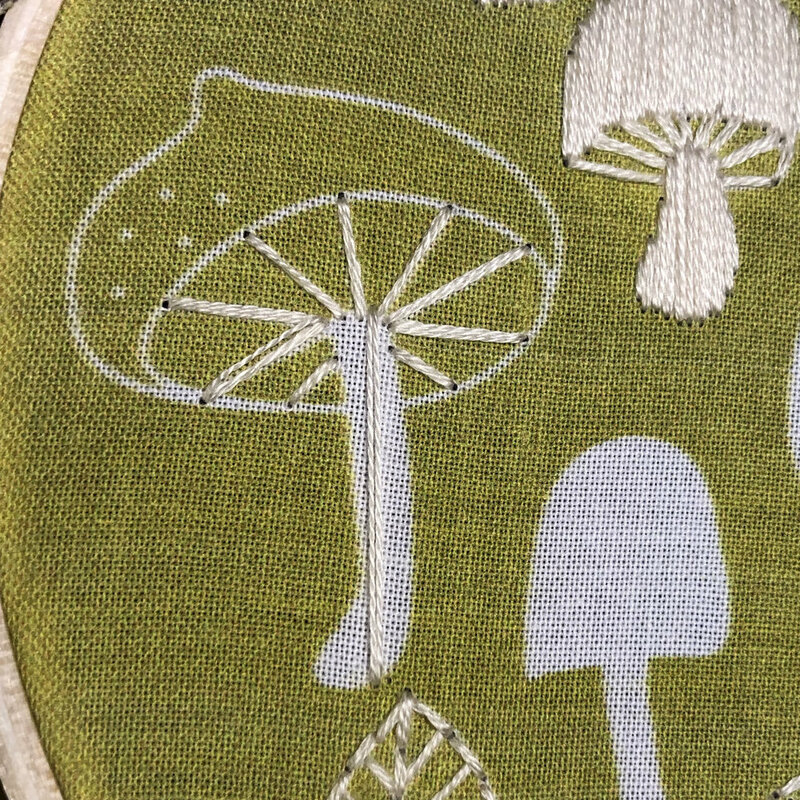 Spokes, veins, spots and X pattern are made from single Seed Stitches. 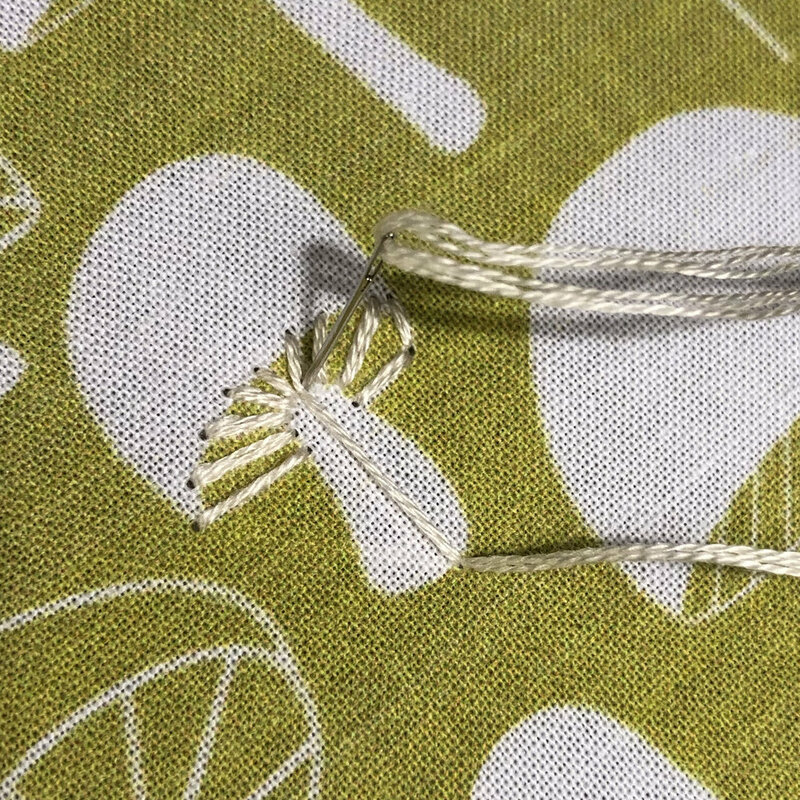 Branch leaves are Daisy Stitches and the stem is Back Stitch. 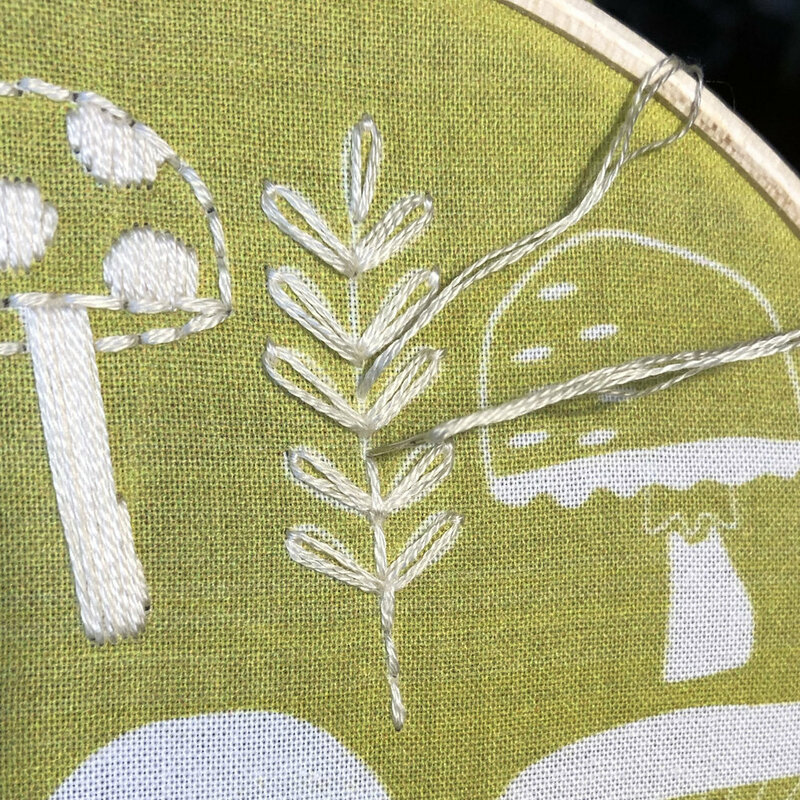 If you don’t want to fool with French Knots just make a small stitch over the printing instead.